MONTHLY PISTOL/GALLERY RIFLE SHOOT 27 JANUARY 2019. This was the FIRST monthly pistol and gallery rifle shoot of 2019 and the year started well with fifteen competitors providing twenty entries in total, making for a busy and active range. We used a modified GP40 pistol competition format and targets with 40 rounds required and a HPS of 400. The feedback was positive as it was a good test of pistol marksmanship as it included single-handed as well as double-handed shooting styles along with magazine changes during the firing matches. The gallery rifle format included shooting from the left and right shoulders, as well as magazine changes during certain matches. The targets are sized for pistol shooting so the gallery rifle competitors had a very generous target to aim at and this is reflected in the scores and is one item to be addressed before the next competition. Any thoughts/suggestions concerning this new format to the undersigned on the back of a used ammunition box, thanks! A big ‘Thank you’ to Dave C. who took over as Range Officer and released me to shoot. The tables below list the winners in the various sections and congrats to one and all on their shooting. The next Club shoot is the Field Sporting Rifle 50 Metre Prone and 50 Metre Precision Rifle Shoot planned for next Sunday 03rd February 2019. The next scheduled monthly pistol and gallery rifle event is scheduled for Sunday 24th February 2019, first shots away at 1030hrs, and we’ll be using the tried and tested Timed and Precision (T&P 1) format for that event. This is a fast shooting format and is suitable for semi-automatic and lever-action rifles also so there will be a gallery rifle element included in this shoot. 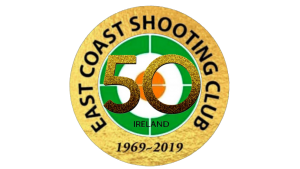 http://eastcoastshootingclub.com/wp-content/uploads/2019/02/ECSC-50th-20190101-300x169.png 0 0 SMCEditor http://eastcoastshootingclub.com/wp-content/uploads/2019/02/ECSC-50th-20190101-300x169.png SMCEditor2019-01-28 18:57:002019-01-28 18:58:18MONTHLY PISTOL/GALLERY RIFLE SHOOT 27 JANUARY 2019.